Dr. David Johnson, MD is a Doctor primarily located in Newberg, OR. He has 36 years of experience. His specialties include Obstetrics and Gynecology. He speaks English. Dr. Johnson has received 1 award. The overall average patient rating of Dr. David Johnson is Great. Dr. David Johnson has been rated by 6 patients. From those 6 patients 5 of those left a comment along with their rating. The overall rating for Dr. David Johnson is 3.8 of 5.0 stars. Dr. Johnson is not my normal doctor. He only delivered my 3rd baby. The first time I met him he walked in the room while I was in labor, didn't acknowledge me, just talked to the nurse about a vacation he's excited to get to. After he was done talking about that he finally acknowledged my presence. I had heard so many good things about him, so I was expecting great care. After my baby was delivered -no pain medication- everything seemed to be going well. I heard him say the placenta is intact, I don't need stitches, and everything went great. He was about to leave when the nurse, Dottie, said I was still bleeding. He took a look at me and said I'm fine. She said she thinks there's tissue left behind, he told her that's there is not, and he left. It was about 2 hours before he came back. There whole time Dottie kept a close eye on me and not too much later she had my husband take the baby because I was turning green and getting weak. She said I was hemorrhaging and told one nurse to call Dr Johnson, and another prep me for a blood transfusion. Dr Johnson walks in, takes one look at me and said "You're not going to like this" and he proceeded to shove his hand up into me looking for any retained placenta. Meanwhile my veins are blowing out and they can't get an IV in, in case I need a transfusion. The doctor pulled his hand out and said there were TWO BASEBALL SIZED PIECES OF PLACENTA left behind!!! Then he laughed about how he's never had to explore the uterus like that before. It was the most excruciating pain of my life and this jerk was laughing about it. Thankfully the bleeding stopped and I didn't need a transfusion. But since I lost so much blood I still couldn't hold my baby, and couldn't get up to go to the bathroom, I had to have a catheter which was just more pain I had to endure. It makes me so angry, because if Dr. Johnson had just listened to Dottie in the first place everything would have been taken care of right away, and I wouldn't have been laying there for hours without my baby wondering if I was going to die before I could hold him again. I still thank God for the nurse Dottie taking such good care of me. Then on top of all that I obviously did not get any sleep that night with taking care of the baby and the nurses checking on me, in the morning after the nurse left and told me no one would bug me for a couple hours, I fed the baby and went to sleep, not even 10 minutes later that jerk Dr. Johnson walks in, wakes me up and says "I just wanted to check on you and let you know I feel bad about what happened last night." I was too groggy and exhausted to say anything other than "thanks" I wish I would have told him how I feel. Thankfully that was the last time I saw him, the midwife Rebecca Huggins (I think that's her last name) checked on me the rest of my stay. She was wonderful! I wish she would have delivered my baby. It's been six months and I have not been able to get over it. It keeps me up at night, and I feel physically sick whenever I think about it or even when I see his picture. I still don't want to be touched by another man, and feel violated. And there's nothing that will ever be done about this. I didn't die, and everything worked out in the end, Dr Johnson will never get in trouble for what happened, and he would probably just laugh if I told him how I feel about that night. I have seen Dr. Johnson for many years and he performed surgery on me as well. I have never had a negative experience with him or his staff. I highly recommend him. I have been a patient of Dr. J for almost 16 years. He is an incredible physician and an amazing man. He has never left me feeling that I was anything less than the most important thing during the visit. I am neither blond, nor rich, and was frankly shocked at the last poster's comment in that regard. 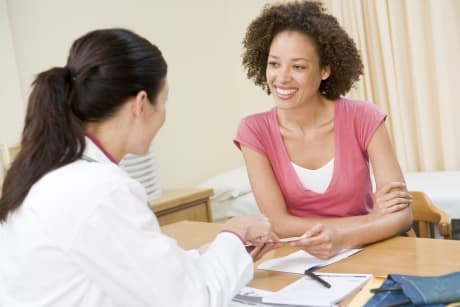 I would not hesitate whatsoever to recommend Dr. Johnson as either an OB or GYN. I have had two babies with Dr. Johnson and have wanted to switch to another provider both times. I found him to be condescending and not empathetic to my difficulties being pregnant (I had severe nausea and vomiting). He is very dismissive and seems to regard these types of problems as "complaining". I mentioned this to a nurse at the hospital where I had my child, and she said "Yeah, its too bad you're not rich, beautiful and blonde. Those are the ones he treats nicely". He is ok, I didn't hate him, but he wasn't stellar, either. I was referred to Dr. Johnson by another OB/GYN that had retired from his OB practice. What a wonderful Dr. and on top of it a great human being. I had a high risk pregnancy and recieved nothing but fabelous care and never once had any experieance like the previous reviewer. I would highly recommend this doctor to all my friends. This program is designed to recognize practices that use information systems to enhance the quality of patient care. To obtain Recognition, practices must demonstrate that they have implemented systematic office processes to reduce errors and increase quality. We are sorry, it looks like we don't have insurance information. Please call Dr. David Johnson's office for more information. David Johnson, M.D., graduated from Wheaton College with a bachelor of science in chemistry. In 1983, he received his medical degree from the University of Maryland. Dr. Johnson served as medical director of the Providence St. Vincent Prenatal Clinic for nine years and chairman of the Quality Assurance Committee of the Department of Obstetrics and Gynecology at Providence St. Vincent Medical Center for 11 years before starting Women's Healthcare Associates, LLC's Newberg office in 2003. Dr. Johnson is board certified in obstetrics and gynecology. He feels blessed to have the privilege of partnering with women to provide healthcare from childbirth to menopause. Dr. Johnson?s wife, Jeri, teaches chemistry at George Fox University in Newberg. When away from the hospital, Dr. Johnson enjoys spending time with his three children and can often be found skiing on the mountain, wake boarding on the river or swimming in the pool. 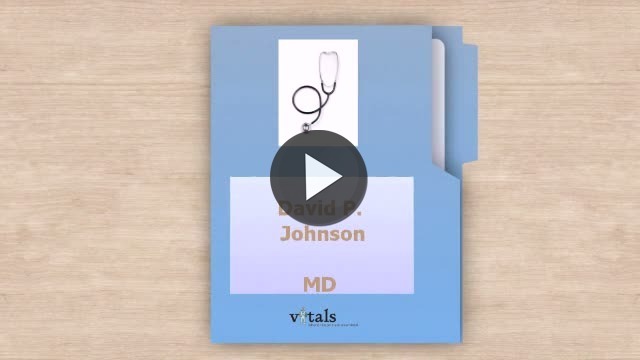 Take a minute to learn about Dr. David Johnson, MD - Obstetrics and Gynecology in Newberg, OR, in this video. Dr. David Johnson is similar to the following 4 Doctors near Newberg, OR. Have you had a recent visit with Dr. David Johnson? Select a star to let us know how it was.